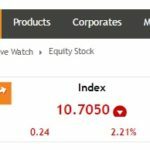 In this article you will learn how to trade using the risk to reward ratio. Risk to Reward Ratio is the concept where a trader knows before taking a trade where to take a stop loss and where to take profits out. A novice trader never writes anywhere before taking a trade where to take a stop loss. However an experienced trader knows very well what risk he is taking in a trade and what reward he is expecting. An experienced trader will never move away from a decision he/she takes. Let me take an example of a Long Call. 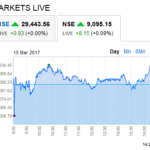 Let us assume that Nifty ATM CE is trading at 100. 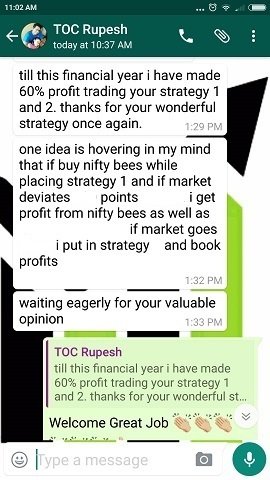 A novice trader will buy it “thinking / hoping” that Nifty will move up without realizing that options have time value that melts away with time if there is no move. They treat an option buy equal to futures buy which is not. However an experienced trader will write somewhere where he will exit the trade either profit or loss. 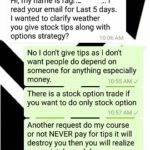 Side-Note: I have seen new option trader averaging out option buy if the position is going in loss. IT IS VERY DANGEROUS TO AVERAGE OUT AN OPTION BUY IF IT’S GIVING LOSS. In fact if an option is making a profit you must not still buy more of it in hope of bigger profits. Once an option buy or sell is done you must not increase the lot size whatever happens. You may decrease the lots when the trade is on – its perfectly ok – but you must not increase. Taking a call where to take profits and where to take a stop loss is not as easy as you may think but with experience it gets easier. I have written here how to use the trailing stop loss method. 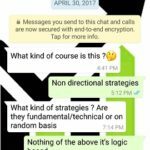 This will help you to decide how to take stop loss. You see if you are trading with many lots you can take your time to take both trailing stop loss and trailing profits. 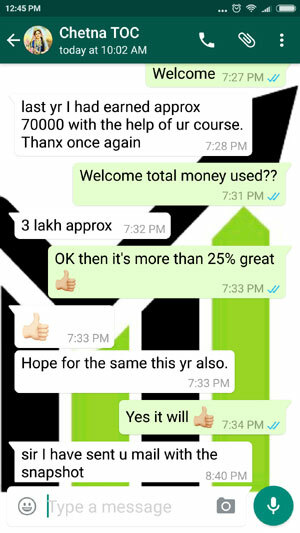 Anil bought 5 lots options of XYZ stock at 50. Now its 55 he exited one lot. Four lots left, 5 points profit. At 60 another option sold. Three left and 15 points profit. Option is back to 50. Anil decides to sell two more at 50 and keep one. Sold off 2 more lots. One lot left and 15 points profit. Option is now 45. Anil takes a stop and takes a loss of 5 points. Trade over total profit = 15-5 = 10 points. Assuming 1 point equals Rs.1000/- which is quite common in stocks in India. His total profit stands at Rs.10,000/-. 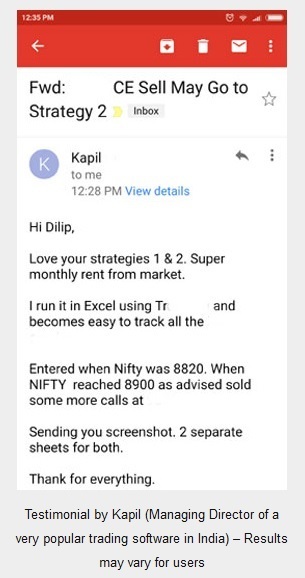 Assuming 500 goes away in brokerage and STT 0 still he is left with Rs.9500/-. Can you see a well-planned strategy can yield great results? 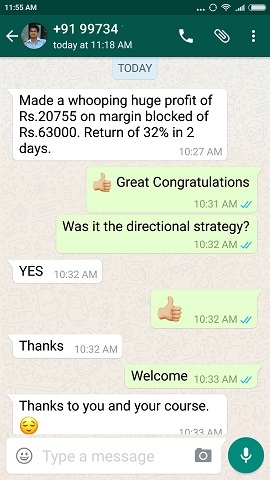 If he did not take a stop loss at 45 and waited in hope that the option will reverse then he could have lost (15-45 = -30) Rs.30,000/- in a trade where he made more than 9k profit. I hope it is now clear that Risk to Reward Ratio is NOT what your software made a P&L graph for you. It’s not final – the Risk to Reward Ratio is what YOU DECIDE and NOT what a graph decides. Here is the Risk to Reward Ratio of a Buy Call Option – but reality is where a trader decides to exit. This P&L graph gives an illusion that option buy is an unlimited profit – many traders fall in this trap and do not book profits waiting for MORE profits because they fall for making an unlimited profit according to the P&L graph. But the fact is Long Call or Long Put is not unlimited profit – you have to decide both your risk and reward – failing which you may lose all your money in this trade.